Within the US Army, lies a distinguished group of men and women that uphold a legacy of serving country and fellow soldiers. The US Army Bands are comprised of men and women that are answering their call to service and helping the United States Army uphold and execute its mission around the world. Tara Anderson is a part of this distinguished group, a musician and a United States Army soldier. 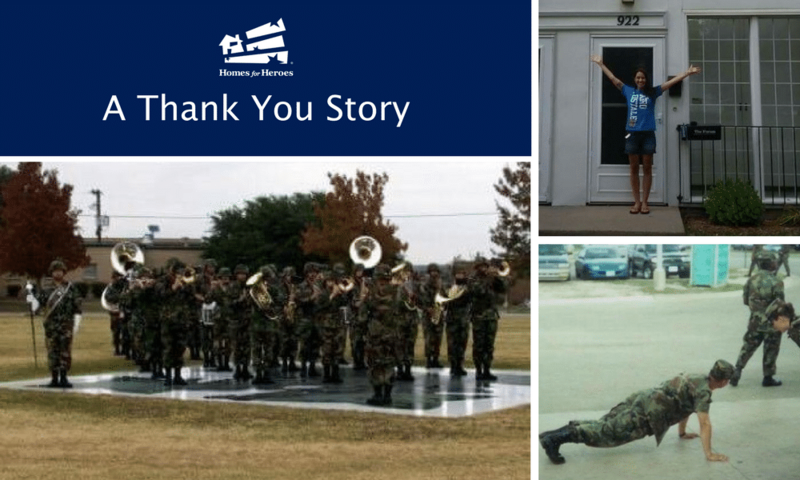 Homes for Heroes is honored to share her story and the appreciation we will always have for her service. Tara Anderson has always been a musician and will always be a soldier. For her, joining the military was just something that was in her genes. Her great-grandfather served, her grandfather landed on the beaches of Normandy on D-Day in WWII and her father served in Vietnam. However, Tara did not discover her call to service right away. She had a passion for performing music. 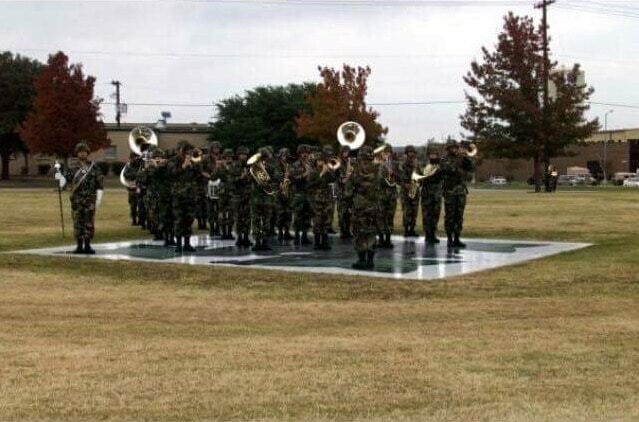 But while attending a local college fair where she was looking to pursue her passion for music, Tara discovered a way to bring her call to service and her passion for music together in the Army band. Tara recalls, “I went to a college fair looking to see what colleges had for music, and a recruiter (Army) pretty much sprinted after me, ‘Saying, hey, hey, we have a band.’ And that was kinda all it took.” Tara auditioned for the Army Band at 17 while still in high school, made the cut and joined the Army five days out of high school. Tara spent the next 6 years serving the United States and fellow soldiers in the Army. She completed her basic training in South Carolina, her AIT in Virginia and was stationed in Fort Hood. During her 6 years of service, Tara had the opportunity and honor to play for several military dignitaries, Sergeant Majors and the Command Sergeant Major of the Army. Equally important, Tara was an integral part to boosting soldier moral and honoring the fallen who had paid the ultimate sacrifice serving our country. “This unique experience has made me who I am today”, said Tara. Life after service has been an adventure for Tara. She is still passionate about playing music and now has children to share her time with. Finding a new home that could support this lifestyle was a very important step in her new journey. So, when Tara started looking online for her new home, she knew exactly what she wanted. Her new home needed to be in a safe area, but also affordable. Tara recalls that although she knew exactly what she wanted, that it did not make finding the right home any easier. 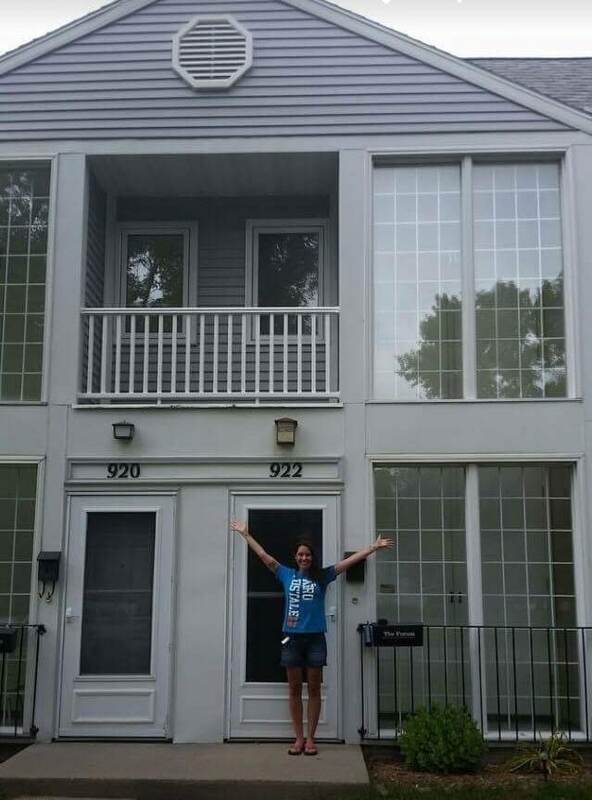 Luckily, while researching rentals and veteran benefits online, Tara stumbled upon Homes for Heroes and decided to check it out. She registered online, and within hours she was connected to Homes for Heroes lender and fellow veteran, Shane Tibiatowski. For Tara, this connection was a godsend. Tara, we are honored to be able to serve you and be a small part of your new journey! May you and your children create many fond memories in your new home!